Delicious autumn! New season, new Menu, new Flavours. As we enter the new season, we welcome our new Menu to the Restaurant. Summer is officially over and it has been a busy one indeed! Over the traditional festive season and summer tourist visits we saw many old friends returning; made new ones along the way and sadly bid farewell to a few. We were blessed and humbled by the great support we received during the past few months, which saw us still sitting on top of the pile of Restaurants in Stellenbosch on TripAdvisor! While it is a great honour to be in this fortunate position; we know it is due to the loyal and gracious support of guests. So here’s to you, we appreciate your support and we’ll continue to provide nothing but the best to our visitors! 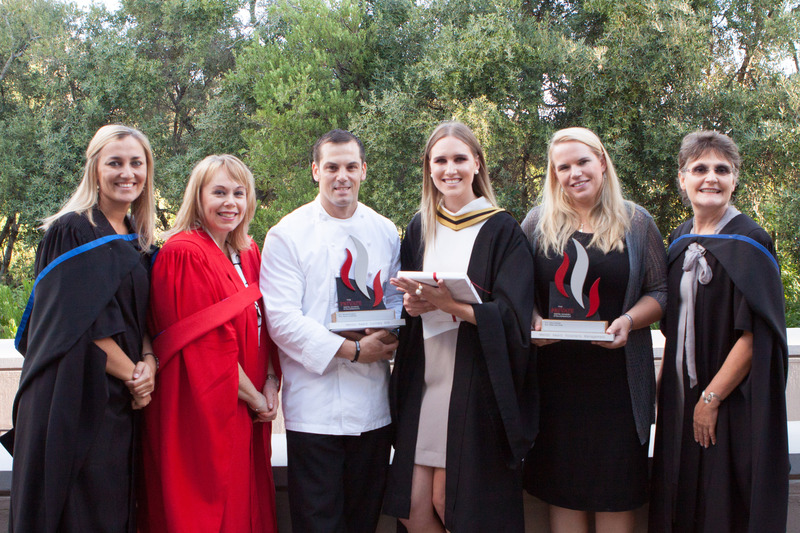 Our Commander in Chief, Executive-Chef Nadia Louw-Smith was recently honoured with the Mentor Award: Hospitality Management by the exclusive and illustrious Private Hotel School for her outstanding role in providing young up-and-coming chefs with guidance and training, while doing their internships at the Restaurant. Each year our Restaurant takes in two interns for a period of 6 months for them to get practical training in real restaurant. We welcome the seasonal change with a feast of comforting classics, conjured up in a scrumptious Autumn Menu which enadeavours to continue the new year’s energy with a myriad of wholesome tastes, unique to the season. 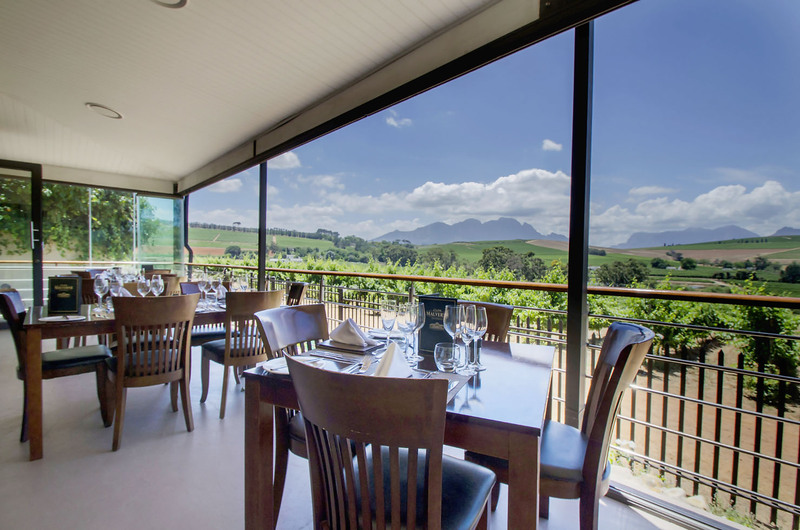 This hearty new Menu, which will turn up the heat until the end of June, offers enthusiasts a four course lunchtime food and wine indulgence of generous portions at R348.00 per person. Each dish on this sizzling bill of fare is served with a matching wine from our prized vineyards. Think Shitake mushroom soup, with parmesan cheese sticks, a hint of truffle, roasted garlic-parsley cream fraiche croquette and shimeji mushrooms; served with Clos Malverne Chardonnay to spruce up the palate. Followed by a Moroccan style duck breast salad matched with the well-rounded Cabernet Sauvignon/Merlot blend to satisfy any hunger. Or kiss the sizzling summer heat goodbye with a decadent Nutella Chocolate Brownie, served with a dollop of cherry ice cream, salted fudge crumbs and a cherry coulis and the our velvety Pinotage Reserve. A host of new, enticing dishes and delicacies are available to tingle your senses, while a select few stalwarts will remain, you know, just to keep you regulars happy. That is all from our side, we look forward to welcoming you soon!